Microsoft’s Windows OS isn’t any one thing. It arises from a patchwork of finely tuned features. Each individual feature is, in turn, the result of a team of dedicated engineers who create the best (often customizable) experience possible. So, with such a complex, nuanced, and vast piece of software, it makes sense that there are little tricks and UI flourishes most people don’t even know about. Here we present a list of cool tips that will help you get a little bit more out of your Windows 10 experience. Or, at least, there are some things you may have not known about. Some have been available in Windows for a number of generations, while some are native to Microsoft’s most recent OS. Microsoft keeps updating Windows 10 with major releases such as the Fall Creators Update and April 2018 Update, so there are plenty of new hidden features and tricks to make the most of a constantly evolving Windows experience. PCMag has dedicated Windows fans in our readership, who likely know at least some of these features, but they probably don’t know them all. If you’re a fan of that old-school (i.e. non-tiled) Start menu experience, you can still have it—sorta. If you right-click on the Windows icon in the bottom-left corner, it will prompt a textual jump menu with a number of familiar popular destinations (Apps and Features, Search, Run). All these options are available through the standard menu interface, but you’ll be able to access them quicker through this textual interface. This desktop button actually dates back to Windows 7, but is handy nontheless. On the bottom-right corner of the desktop is a secret button. Don’t see it? Look allll the way to the bottom and right, beyond the date and time. There you’ll find a small little sliver of an invisible button. Click it to minimize all your open windows. There’s also the option to have windows minimize when you hover over this button versus clicking. Select your preference in Settings > Personalization > Taskbar > Use peek to preview the desktop. This feature actually debuted in Windows 7, but I’ve found a lot of people don’t know about it or use it (but they should—it’s cool!). If you have a display full of windows, clear the clutter by grabbing the top of the window you do like and “shaking” it to minimize all the other windows. Suddenly having shaker’s remorse? Shake again and the windows will come back. This tip won’t be useful to most, but you can rotate your screen by simultaneously pressing Ctrl + Alt + D and any of the arrow buttons. The down arrow will flip it upside down, the left or right arrow buttons will turn it 90 degrees on its side, and the up arrow will bring you back to standard orientation. If you use multiple displays, this feature allows you to orient just that display in a particular way. This creates a clickable icon on your desktop, which you can feel free to rename. To shut down via slide-down, double-click on the new icon to prompt a pull-down shade. Then use your mouse to drag it down to the bottom of the screen. Keep in mind, this isn’t sleep, this is a shutdown. This feature was available as far back as Windows 7, but has some extras in Windows 10. They’re not games in the “fun” sense as much as they’re cool little time-killers that Cortana can help you with. You can type (or say) “Rock Paper Scissors,” “Roll the Die,” or “Flip the Coin” in Cortana for a fun (?) graphic gaming experience. It appears this feature is new to Windows 10 (at least, it’s not available in Windows 7). It will probably only be useful to a narrow niche of user, but if you like to dig your virtual fingers into the innards of Windows via the Command Prompt, Windows 10 provides a ghostly way to interface with it. To access the Command Prompt interface in Windows 10, click on the Windows menu and type “Command Prompt” to bring up quick access to its desktop app. Click that. To personalize the experience, right-click at the top of the window to prompt a pop-up menu and choose “Properties.” Click over to the “Colors” tab to see a range of personalization options. At the bottom of this tab, you’ll find the “Opacity” slider, which allows you to see through the Command Prompt window. This feature lets you code away in the Command Prompt while simultaneously observing the desktop. If you are Windows-hack-y like that, go nuts. Formerly known as Quiet Hours, Focus Assist is a redesigned April 2018 Update features that gives you greater control over the notifications that pop up on your PC. Head to Settings > System > Focus Assist and then read our full how-to guide for customizing notifications for everything from contacts and apps to task-specific alarms. You can now pin your closest contacts to your task bar the same way you would your most-used apps. Just tap on the People icon, and at the bottom of the pop-up box will be an option to find and pin contacts to your taskbar. Don’t see any contacts? Click the Apps tab at the top of the box to connect your Mail app, Skype, or other apps from the Microsoft Store and import your contacts to set up the equivalent of speed dial icons right on your Windows 10 task bar. In an open document or photo, you can now share the file directly with nearby devices the same way Apple’s AirDrop works. Click the Share icon atop your doc or photo toolbar to open the panel, and then click Turn On Nearby Sharing to see what nearby recipients are in range. The Windows Fall Creators Update installed the Mixed Reality Viewer app on your Windows 10 machine, even if you didn’t know it was there. Do a quick Cortana search and open the app to play around with 3D models—either ones you’ve created in Paint 3D or downloaded from Microsoft’s library of thousands of models. If you own one of Microsoft’s Windows Mixed Reality partner headsets or want to start playing around with 3D and mixed reality development, this app is your way to start leveling up. Speech recognition has always been a strong suit for Microsoft, but in the latest Windows 10 release it’s almost second nature. In Settings, go to Time & Language > Speech > Related settings and click “Speech, inking and typing privacy settings” to enable speech services and typing suggestions. Once you do that, you can use the Windows Key-H hotkey combination in any text field to pop up a Cortana box that records your voice through your Windows machine’s microphone and dictates the speech in your text field. You’ll still need to type manual punctuation, but save yourself some typing by dictating emails, messages, and more. Cortana can now control all your smart home devices through Windows 10, too. 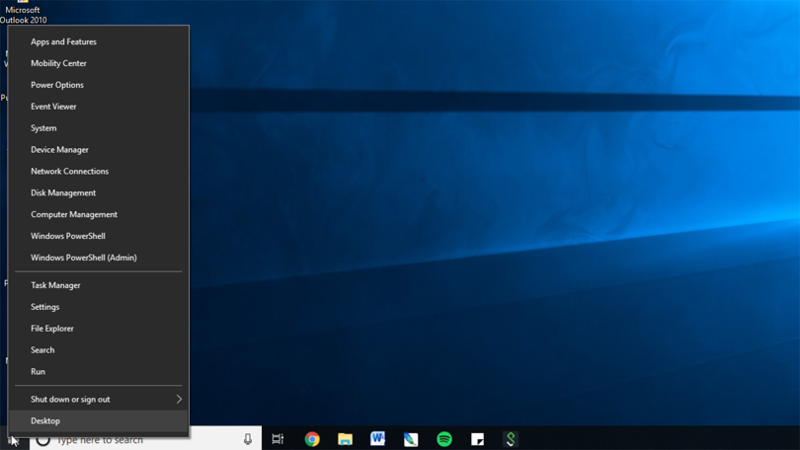 The setting is a little tough to find, because you can’t just search the Cortana bar for smart home or “connected home.” Instead, you have to search for Cortana Notebook, which brings up a list of to-do items, reminders, and suggested tasks for Cortana. However, to find the connected home function you’ll need to click on the Manage Skills tab at the top right of the pop-up window.